I apologise that I could not post regularly recently whilst I was staying in Japan but I am back in London now and hope I can get back on track. My stay in Japan was mainly for a family matter but I made some small trips and had some good food experiences in my spare time so I am going to publish some posts from today. 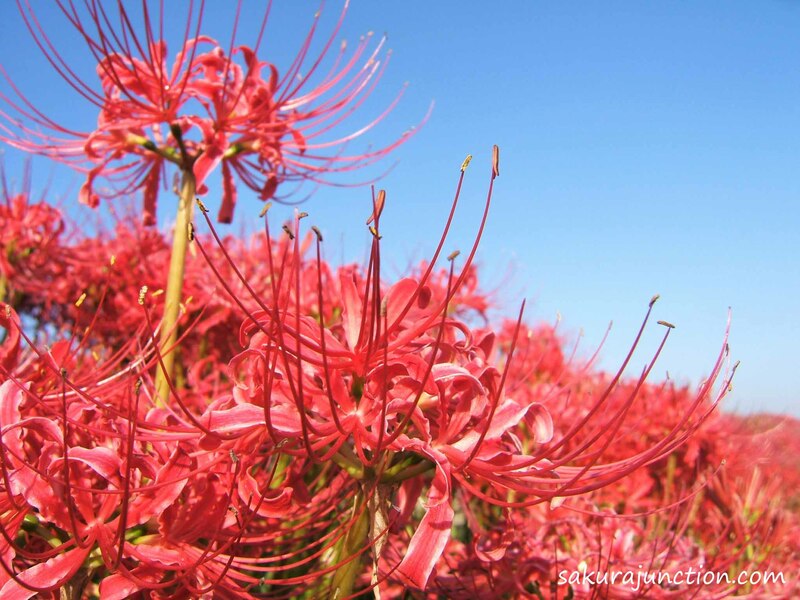 So, my first catch-up post during my visit in Japan is about the little trip I made in September to see this famous area that was covered with Red Spider Lilies ‘Higanbana‘ (Lycoris radiata) which is also called Cluster Amaryllis in English. 3 million flowers were literally clustered around in this vast area along the bank of Yakachi river in Handa, Aichi prefecture. 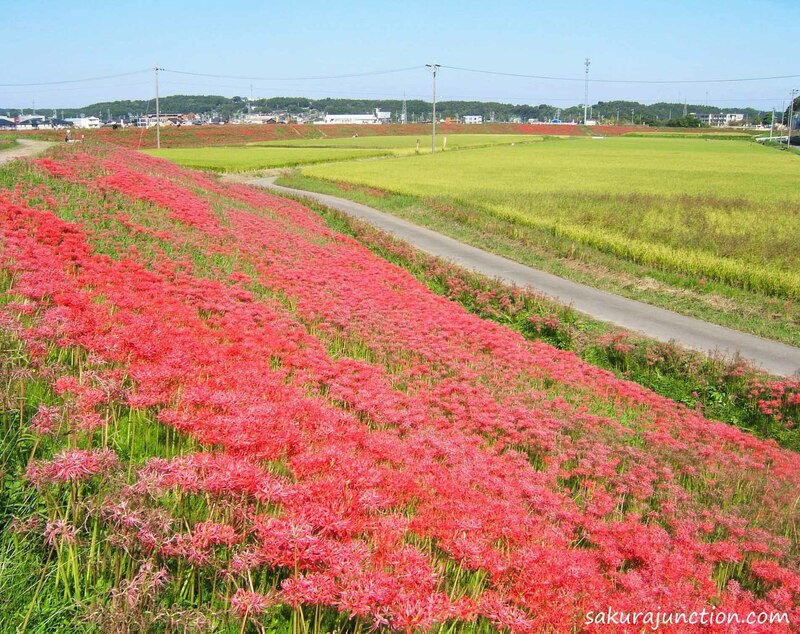 It was just a magnificent view of a red stripe of flowers spreading as far as you could see. 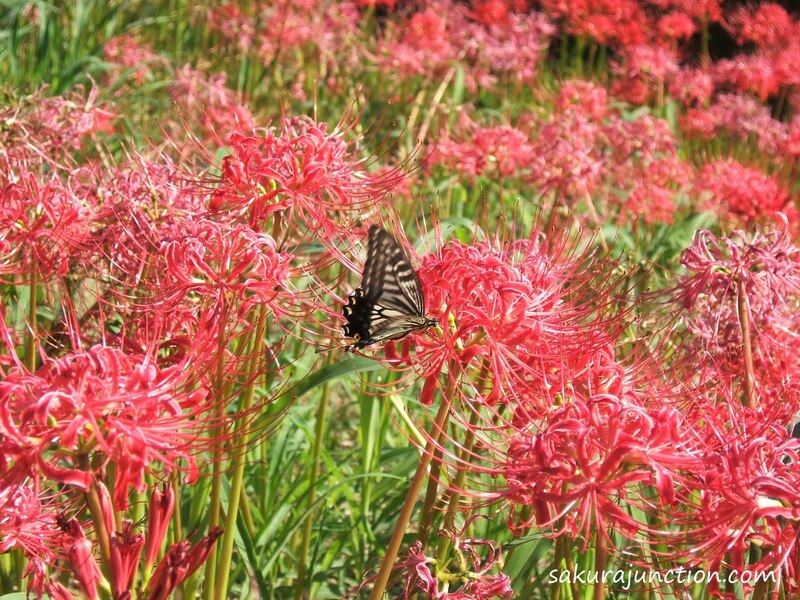 This is a Japanese Swallowtail Butterfly ‘Ageha’ on Higanbana. Is this ‘White Sheep(? )’ in Higanbana? There were white and yellow flower too. 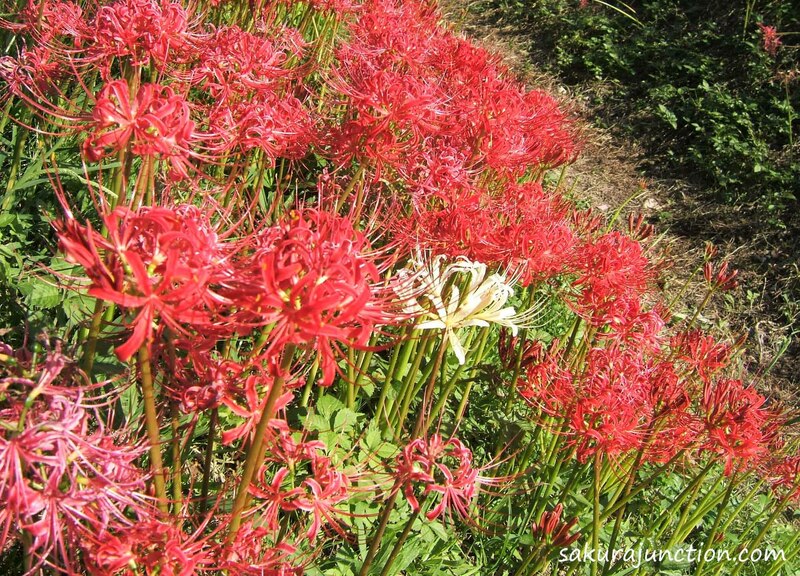 If the flower was pink I thought it would look similar to Nerine a little? 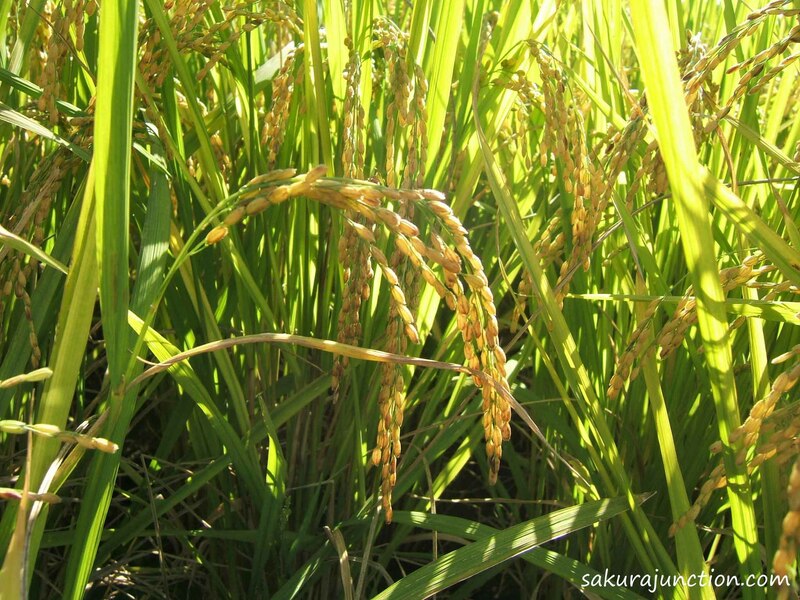 It was nearly the harvesting time of rice. The slightly yellowy green colour of Rice field with heavy top was also contrasting well with the red band of Higanbana. I felt like the time had slipped back to my childhood. 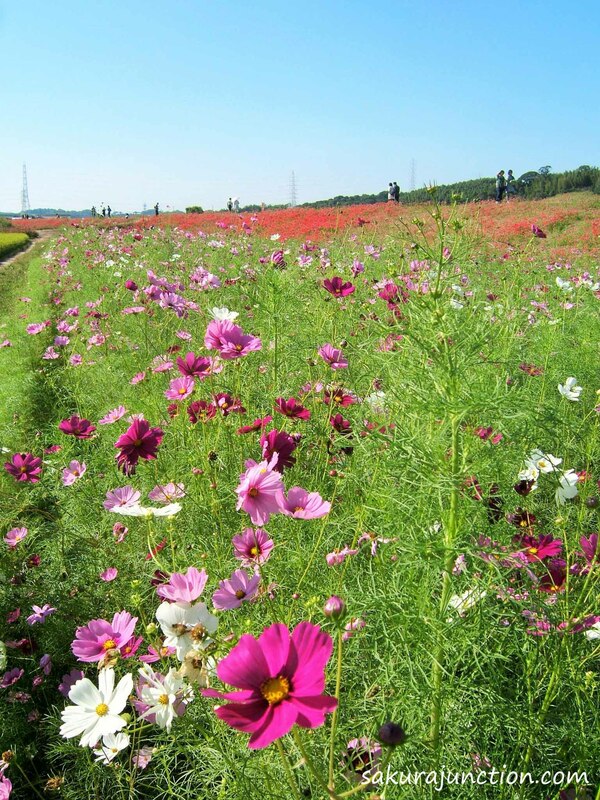 There was also some space with Cosmos that the local people were growing. The shape, colour and texture of them are also a good contrast. 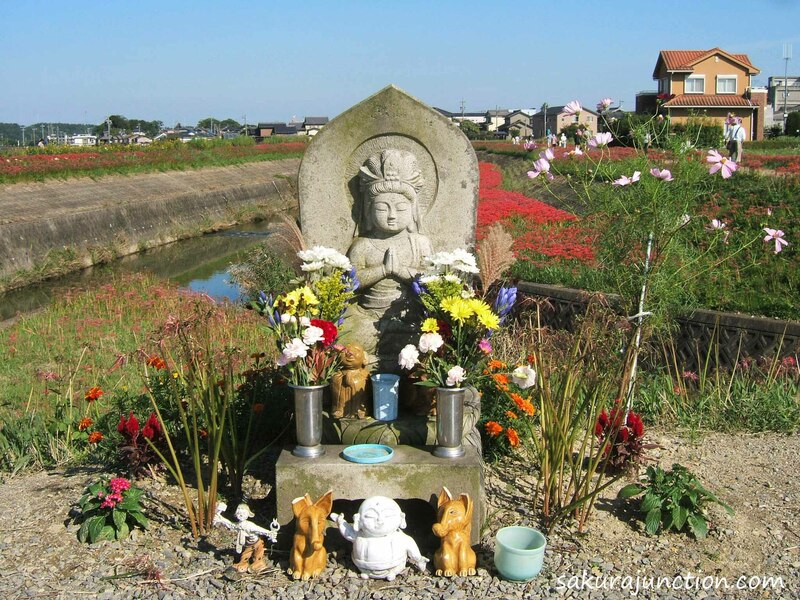 ← Do you know Today is ‘TOFU’ Day? Thank you. 3 million flowers helped me.